The Davenport Grand Hotel is set to open next month. The hotel's owner wants the city to pay for certain cleanup as promised. Spokane hotel magnate Walt Worthy thinks it's a good deal, and he'd offer it to just about anybody else. He's spent millions to build the 716-room Davenport Grand Hotel in downtown Spokane, which he says will generate tens of millions of dollars in economic activity and taxes after opening next month. In return, he wants $318,000 that he says the city promised him to cover the cost to clean up the contaminated site where the hotel has been built. Mayor David Condon thinks it's a good deal too. But it still needs to be approved by Spokane City Council, a prospect that has become increasingly uncertain. Council President Ben Stuckart, who has had an antagonistic relationship with Condon, says the mayor made the deal without adequately consulting the city's legislative body. Now Stuckart is questioning whether the agreement would violate a portion of the Washington State Constitution that bars local governments from giving public money to private companies and individuals. The deal with Worthy, the owner of four upscale hotels in Spokane, is imperiled; city council, which recently secured its own independent legal counsel, has cast doubt on whether he'll be paid the promised money. In July of 2013, the city began discussions with Worthy concerning a project intended to bolster Spokane's economy. The Public Facilities District was planning an expansion of its Convention Center that would attract bigger conventions, whose attendees would bring out-of-town money to the economy. But for the plan to work, it needed a bigger hotel to accommodate the influx of visitors. Initially reluctant to build the hotel, Worthy asked the Condon administration for incentives. The administration responded with a 2013 memo that outlined a list of potential sweeteners, including $362,000 in fee waivers, $1 million in streetscape improvements and $2 million for environmental remediation for the polluted land the hotel would be built upon. "I just wanted some assurance that I wasn't buying a pig in a poke," says Worthy of the incentives for taking responsibility for the polluted land. In 2013, Worthy purchased the property for the hotel from the Public Facilities District for $6.6 million. The sale agreement relieved the district of any responsibility to clean up pollution at the property. Now the Convention Center expansion is complete, the hotel is preparing to open its doors to its first guests next month and Worthy is still waiting for city council to approve his payment for cleaning up the property. He says the cleanup was accomplished for $318,000, a fraction of the initially expected $2 million. City council, says Worthy, should approve the payment because "it's just the right thing to do." Some city council members doesn't see it that way. "If you want people on the plane when you land, you should have them on the plane when you take off," says Stuckart. The council president and other councilmembers say Condon didn't get the council's buy-in on the deal, and Stuckart hasn't seen any documentation for the environmental remediation for which he's expected to approve payment. "I just have a lot of legal concerns about the proposal," says Councilwoman Amber Waldref. "I'm calling it a 'proposal' because it was never approved by the people who pay the bills." In March, the council unexpectedly was presented with a bill from Worthy for the cleanup of the property. Initially, a reluctant Stuckart agreed to ask council to pay for it. But last week, Stuckart reversed course, asking both the City Attorney's Office and Brian McClatchey, the council's recently hired independent counsel, to examine whether making the $318,000 payment to Worthy would violate a provision of the Washington State Constitution that prohibits local governments from directly giving individuals or private companies public money (unless it's to support the "poor and infirm"). Condon says that city council was apprised of the possible incentives early on, and points to statements made by Stuckart and other councilmembers indicating enthusiasm for the project and a desire to swiftly strike a deal with Worthy. "This is normal due course for any of these agreements the city has had with a multitude of organizations," says Condon, who adds that paying for the cleanup of the polluted property is in the public interest because it's near the river and the aquifer. Gavin Cooley, the city's chief financial officer, says the City Attorney's Office cleared the legality of the payment for environmental cleanup before it was offered to Worthy. According to Cooley, the land was previously owned by the city before it was sold to the Public Facilities District in 2004. Both the city and the PFD, says Cooley, could be held liable for pollution at the property. Because the city is paying to relieve itself of this liability, says Cooley, it doesn't violate the state constitution's ban on giving money to private individuals. 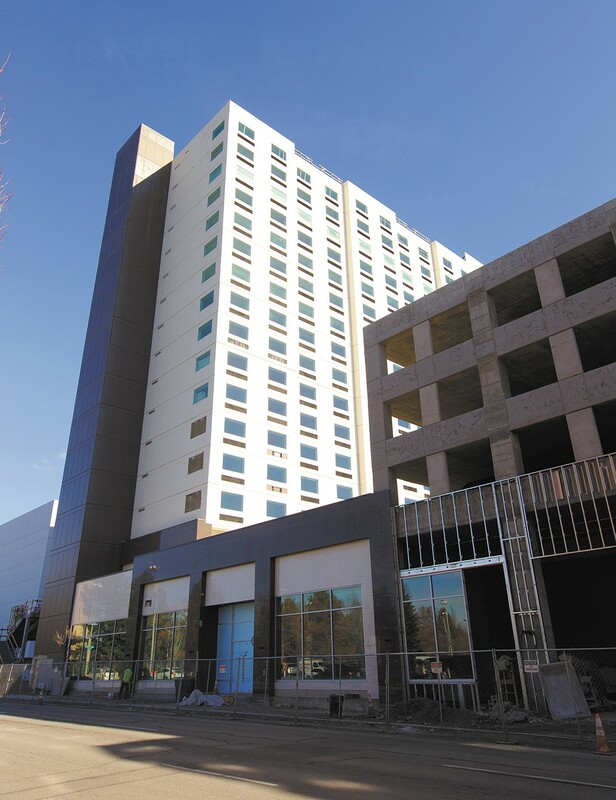 The payment for the remediation will easily be recovered with new tax revenues, says Cooley, who points to a financial analysis that found that the hotel will generate at least $483,000 in sales tax for the city every six months. Stuckart and other members of city council say the administration still hasn't provided them with a legal justification for directing $318,000 to Worthy. If the council's lawyer determines that the payment violates the constitution, Stuckart says it will require even more scrutiny before it comes up for a vote for council — if it does at all. Despite the uncertainty surrounding the prospect of not getting paid for the environmental remediation, Worthy remains unworried.